-Seeds can be transported on the outside of vertebrate animals (mostly mammals), a process known as epizoochory. Plant species transported externally by animals can have a variety of adaptations for dispersal, including adhesive mucus, and a variety of hooks, spines and barbs. Luckily for the plant the animal will continue his path and will take the seeds away from the area. By shaking, bathing, or moving, the seeds will fall from the animal and grow where they fall. -Also the seeds can be transported in the interior of the animal after he has eaten the fruit. Seed dispersal via ingestion by vertebrate animals (mostly birds and mammals), or endozoochory, is the dispersal mechanism for most tree species. The plant creates edible, nutritious fruit as a reward to frugivorous animals that consume it. Birds and mammals are the most important seed dispersers, but a wide variety of other animals, including turtles and fish, can transport viable seeds. The seeds contained in the interior of the fruit cannot be digested by the animals body, so when the animal goes to excrete far away from the parent plant, he excretes the seeds which later grow into another plant. An example of a plant which disperses his seeds via the interior of an animal is the Blackberry. The Blackberry creates the fruits which attract birds, the birds eat the fruit and also the seed, but they do not digest the seeds, when they excrete, they drop the seeds into the ground and another blackberry starts to develop. At leats in the south of Chile after eating the fruit, the birds go and stand on the fences of the plantation fields and excrete, and thats why there are always Blackberries besides the fences. Seed dispersal is essential for the continuity of all tree and plant species, as it is the way that seeds produced by these get to somewhere suitable for their growing, and find another seed to start growing into a plant or tree. Fruits of Eucalyptus torelliana produce resin which is collected by workers of the stingless bee Trigona Carbonaria. Seeds adhere to resin in the workers' corbiculate and are transported to the nest. Workers transport seeds distances of more than 300 m from the parent tree and seeds at the nest were viable and capable of germination. Seeds are removed from the nests by workers and discarded away from the nest, and Eucalyptus torelliana trees became established in the vicinity of colonies of Trigona carbonaria bees. Bees are the only invertibrates besides ants that help in a seed dispersal mechanism. 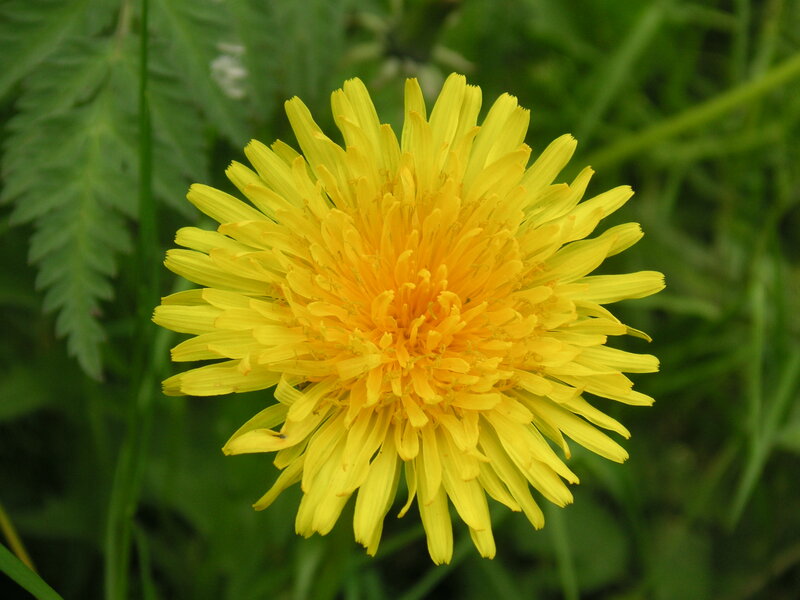 A dandelion is a flower, made up by really tiny flowers bunched together, it has a straw like stem which colour is green. After it blooms, each of the tiny flowers produce a seed, everyone of this seeds it is attached to the stem with white fluffy threads. Dandelion seeds are carried away by the wind and travel like tiny parachutes.A strong wind can carry the parachutes miles away from the parent plant. The parachute process includes seed or achenes( one-seeded fruits), with puff-like clusters at the top. Then the slightest gust of wind catches the cluster, and shoots the seed up into the air like a parachute. This process it the most effective for dandelion seeds, as it has blown the seeds across mountain ranges,landed in open fields all across the western part of the USA. Seed dispersal is the transport of the seed away from the parent. It can be in different ways; wind, water or by animals. Every plant has its own characteristics for it to disperse its seeds. An example of flower seed’s transported by insects or animals is the scarlet pimpernel. This flower is very colorful (can be orange or purple). With these colors it attracts mostly Butterflies and bees. Its stamen is 65 mm outside from the level of the leaves so it can stick easily to animals, and in the middle it contains a sticky substance, that also attracts insects. Dispersal of seeds: wind, animals, water, self dispersion. * It is very important that after the fertilization seeds are taken off away their parent plants, if not, it could be very dangerous because they both will have to fight for survival resourses like light, water, etc. Most violet species have ballistic seed dispersal, meaning that seeds can be dispersed up to 5 meters away from the mother plant. Violets, like other plants have hermaphroditic flowers, at the beginning of the season the flowers must be pollinated by insects such as bees and butterflies, this is good to facilitate genetic exchange between populations, but bad because many days in the mountains there optimal conditions for flying insects. This does not scare the violets because at the end of the season produces violet flowers selfed allow reproduce clonally. Wind is the only methos that we can always trust, because it will never dissapear or stop blowing off the seeds of their parent plants so they can develope. growth that stands up a little higher off the ground. Sometime in May they usually start growing a flower stalk. sending up its flower stalk, it usually stalls its growth a bit. late July or early August. The seeds will germinate immediately if they fall on moist soil. mostly dead because many of the traps and leaves turn completely black. Dormancy lasts until mid February and then the cycle starts again. propagated by division in spring or summer. The Moth Orchids disperse there seeds by attracting Moths into the plant ( known as a insect pollinated flower). Many orchids use bright colours and strong scents to attract the insects. 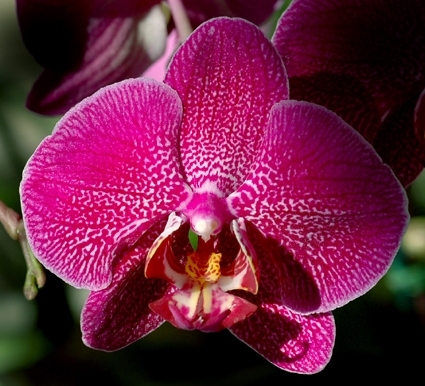 The Moth orchid has two long spurs and a long stalk. The flower attracts the moths to the sticky spurs for getting the pollen all around the insects body. The moth Orchids seeds have very small seeds so lots of seeds can stick into only one moth. By wind: There are some fruits that adapted themselves to catch the wind and use it for their own benefit. 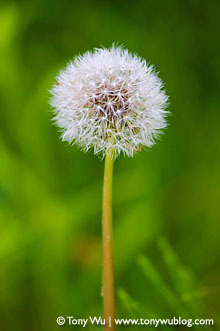 For example the dandelion uses the wind to throw the seeds to a place far away. By explosive mechanism: there are fruits that can function by its own. An important example will be the lupin a fruit that suddenly burst throwing their seeds in many directiones at the same time. By water: Some seeds are resistable to water because they want to travel throw the water until reaching a straight land. By animals: As many others, fruits are tasty to animals. This will make a easier travel for them because their eaten and not digested. This means no harm has been made to the seed, so the seed passes through the animal and thrown into any land with an extra fertiliser surrounding it. The leaves are 5–25 cm long or longer, simple and basal, entire or lobed, forming a rosette above the central taproot. The flower heads are yellow to orange colored, and are open in the daytime but closed at night. The heads are borne singly on a hollow stem that rises 1–10 cm or more above the leaves and exudes a milky sap when broken. A rosette may produce several flowering stems at a time. The flower heads are 2–5 cm in diameter and consists entirely of ray florets. Each achene is attached to a pappus of fine hairs, which enable wind-aided dispersal over long distances. The flower head is surrounded by sepals in two series. The inner sepals are erect until the seeds mature, then flex downward to allow the seeds to disperse; the outer bracts are always reflexed downward. Some species drop the "parachute" from the achenes; the hair-like parachutes are called pappus, and they are modified sepals. Between the pappus and the achene, there is a stalk called a beak, which elongates as the fruit matures. The beak breaks off from the achene quite easily, separating the seed from the parachute. Taraxacum are seed dispersed ruderals that rapidly colonize disturbed soil, especially the Common dandelion which has been introduced over much of the temperate world. After flowering is finished, the dandelion flower head dries out for a day or two. The dried petals and stamens drop off, the bracts reflex , and the parachute ball opens into a full sphere. Finally, the seed-bearing parachutes expand and lift out of it. The parachute drops off the achene when it strikes an obstacle. After the seed is released, the parachutes lose their feathered structure and take on a fuzzy, cotton-like appearance, often called "dandelion snow". Seed dispersal in fruits, most commonly by animals, but also wind or water. Plants, being stationary, require a mobile mode for seed dispersal. Modes for seed dispersal include self-projectile mechanisms, wind, water, and animals. Dispersal by animals falls into the category of plant-animal interactions, a subject of interest because of the reciprocal adaptations that can be observed. These reciprocal adaptations lead to coevolution, or change in organisms as a result of their interactions with each other. Animal dispersal - This is the most common dispersal in fruits. Fruits of many plants are dispersed after passing through the digestive system of animals that have eaten the fleshy fruits. a) Wind:one of the most primitive ways of dispersion. The seeds may either float with the breeze or flutter to the ground. Some examples of this type of dispersion can be the Dandelion and Maple seeds. b) Water:seeds that get dispersed this way can usually float. They are carried by water through a very long distance depending on the way the water acts. c) Explosive mechanism: its when seeds are ejected from the fruits because of the elastic contractions of the fruit tissues. - The Lotus is a plant that is native to North America. There are lots of types like the white lotus, blue, lotus, pale-yellow lotus, pink lotus, etc..